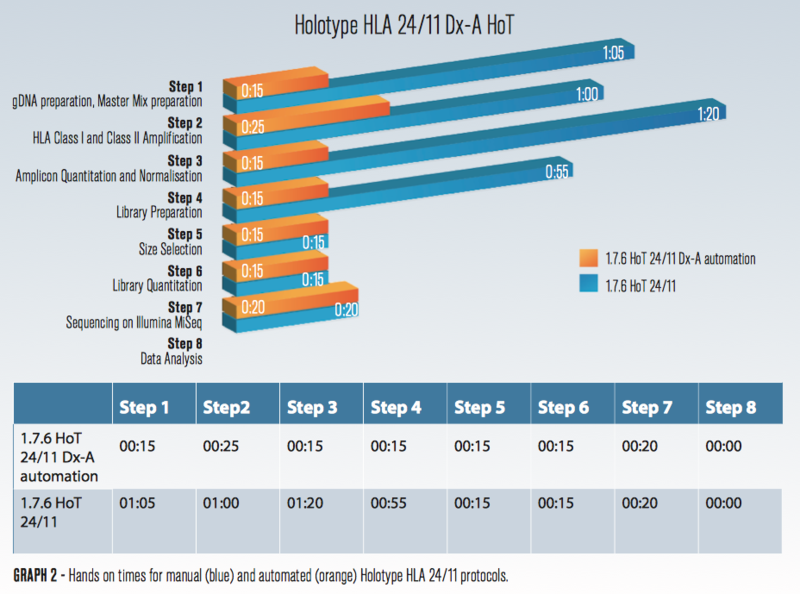 Holotype HLA - Automated Pre-PCR and Post-PCR steps for HLA Typing by NGS. 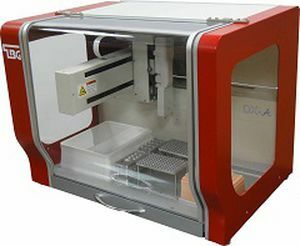 Learn more about how Holotype HLA can be automated on a variety of liquid handling robots. 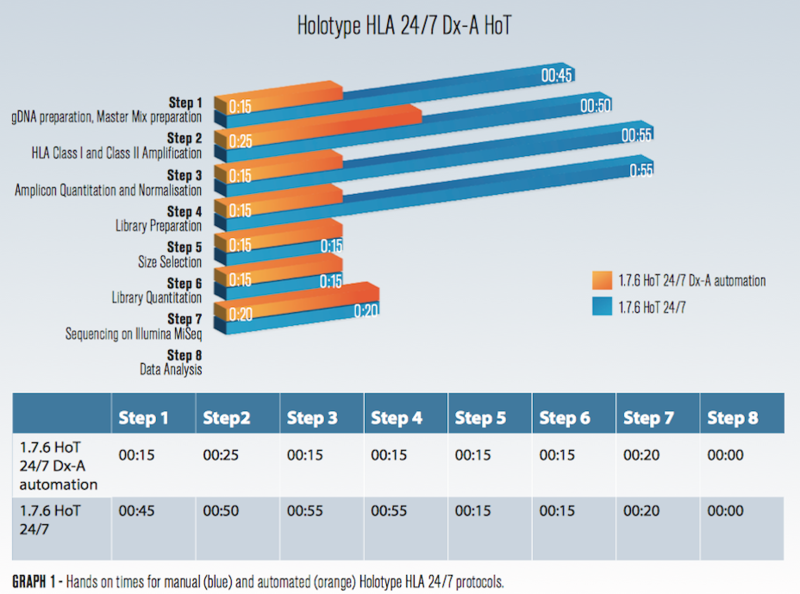 Holotype HLA is the most accurate and easy to use NGS-based HLA genotyping product. However, the further elimination of human and random error remains a desirable goal for any lab. To ensure reproducibility and repeatability among technical staff and to reduce the possibility of human error, pre-PCR and post-PCR steps of Holotype HLA can be automated on a variety of liquid handling robots. Holotype HLA comes in three configurations (5, 7 & 11 loci) and two sizes (24 & 96 samples). All kits are splittable to batch just the samples you need, and can also be mixed with Monotype HLA samples (HLA-B, HLA-DQ or custom). Certain liquid handling instruments also have the flexibility to mix up the numbers of samples and loci to match your workflow. From gDNA to genotyping result, Holotype HLA has a turnaround time (TAT) of less than 48 hours for 24 samples at 11 loci when sequenced with a 300-Cycle Micro flow cell. When performed manually, the hands on time (HoT) is approximately 4 hours for 24 samples at 11 loci. However, when performed with any liquid handler the HoT can typically be reduced to less than 1 hour.